Virgin Media has announced plans to use electricity poles to extend its ultra-fast broadband network into rural areas, stringing fibre-optic cables overground between the wooden poles, instead of burying them underground. Virgin has teamed up with Welsh company Surf Telecoms, a division of electricity firm Western Power Distribution, to extend its ultra-fast broadband to Crumlin, a rural village near Pontypool in Wales, currently unserved by Virgin's fibre-optic network. "Virgin Media today announced that residents of the Welsh village of Crumlin, Caerphilly, will be the first in the UK to trial ultrafast broadband delivered over existing electricity poles," reads Virgin Media's press release. "Following a landmark agreement with Surf Telecoms… homes in the village of Crumlin will be connected directly to Virgin Media's fibre optic network, effectively increasing local broadband speeds ten-fold in a community that has previously relied on BT's copper infrastructure." The partnership marks "the first use of existing commercial infrastructure to aerially deliver ultrafast broadband to a community currently beyond the reach of a fibre optic network." 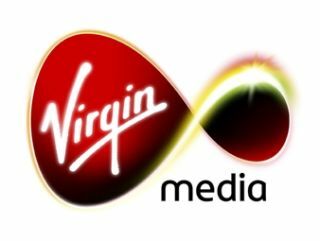 In addition to the access to Virgin Media's super speedy 50Mb broadband, villagers will be offered Virgin Media's TV service, including around 5,000 hours of catch up TV and on demand content. The trial will start next monthand is scheduled to run into 2011. On paper, it sounds like an innovative and common-sense solution to solve the problem of the city-countryside divide in fast broadband access in the future. However, Virgin does note that to roll such a solution out across Britain would require "some focused measures from government." Virgin Media notes that: "Initial analysis suggests that 'non-traditional' approaches of the kind being explored in Crumlin and Woolhampton could…significantly accelerate delivery of next generation broadband to millions of extra homes right across the UK." Jon James, executive director of broadband, Virgin Media, said of the latest trial in Wales: "We're already bringing broadband speeds of up to 50Mb and, soon 100Mb, to over half of all UK homes and are pushing the boundaries to ensure that homes right across the UK benefit from ultrafast broadband. "Working in partnership with companies like Surf Telecoms, we can more rapidly and efficiently expand the reach of fibre optic networks to towns, villages and communities right across the UK."